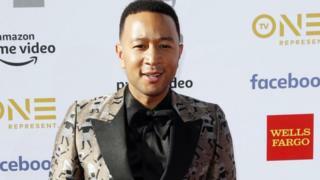 Hundreds of people have turned out at a casting for a chance to appear in a Netflix movie being produced by US singer John Legend. Film extras were being recruited for scenes due to be shot in Norwich’s historic Elm Hill at the start of June. The Christmas musical, called Jingle Jangle, will star Oscar winner Forest Whitaker. Tara Keenan, owner of Key Casting agency, said the turnout at the city’s Blackfriars Hall had been “amazing”. Ms Keenan said her team of 15 staff had been taking details and photos of the “hundreds” of people who had been applying to be paid extras. “It’s been great to see so many people,” she said. She said the agency had last visited Norfolk for wrestling biopic Fighting with My Family, based on Norwich WWE fighter Paige. With details of the film being kept under wraps, Ms Keenan said she was not allowed to say how many people were being recruited. Actress Jess Heasman, 22, from Norwich, said the movie was a chance to get a “bit of extra work and experience on set” but did not know when she would find out if she had been successful. Netflix described the movie as a “cobblestone world comes to life”, with Whitaker playing an inventor whose granddaughter comes to stay for Christmas.